Are Typing Skills Really Necessary for College? Did you know that the average college student types at about 30-35 wpm? That’s in an ideal world of course and you probably won’t be writing your college papers that way. Instead, you’ll probably have a rough outline and you’ll have to think about what you are going to say as you type. That being said, at 30wpm a 5 page essay could take 3 hours or more to simply type. If you’re like most college students and waiting until the final hour to get that essay done, you may not have 3 hours to spare. 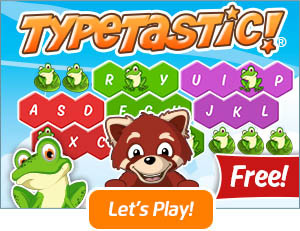 Touch typing allows you to multi-task, to be able to write without thinking about the actual action of writing. Rather, the more second nature the skill is for you the better able you are to focus on what you are typing instead of how you are typing. Think about this: touch typing is a skill similar to driving a car or riding a bike; two things that most of us can do fairly well without ever even thinking about it. Although talking or texting people while driving is illegal in many places, how many people still do this because the act of driving has become so ingrained in them that they multi-task because they can? Touch typing is a skill that can be developed in the same way and can reduce the burden of having to think, allowing us to better focus on grammar, sentence structure and syntax as we type. What does this mean for college students and beyond into the working world? Well, for starters most college students will find themselves taking multiple classes with coursework that may have deadlines which coincide with one another. College courses also require more reading, note taking and cognitive thinking skills. If a student is to be successful, they will need to be able to multi-task effortlessly in order to absorb all of the information that’s coming at them. 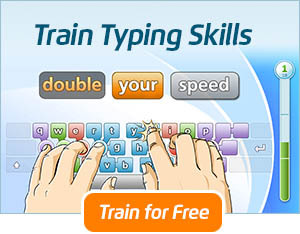 With today’s technology, touch typing skills are a must for college students. After all, no one is turning in handwritten papers any more and most professors won’t even accept them. According to an article in the MIT Technology Review, it takes about 400 hours to become proficient as a touch typist and over 600 hours to become an expert. 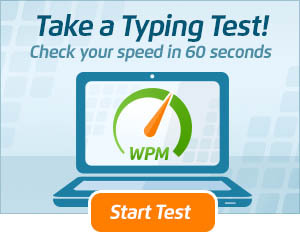 You can begin increasing your typing skills by taking TypingMaster’s Free Typing test and practicing with our free typing program today. What? Who does that anymore? Papers are composed directly on the computer now. They have been for a long time. Now, a generation ago, that might not have been the case. I did it back in high school because I was an early adopter of personal computers — and I once had a run-in with a teacher who “wanted to see my draft” and could not be convinced that I would have taken the trouble to TYPE my draft. It took me a while to explain that yes, I really did compose the paper directly on the computer. But today? Pretty much everyone does it that way.